Moss Viewing - Are you one of them? Do you know what is the plant that is mentioned in Japan's National Anthem? It is none other than "Moss". The lyrics of the Japan's national anthem mentioned that "May Japan's reign until the pebbles grow into boulders lush with moss.". Moss viewing has been one of the top activities for Japanese dated back 9th century. 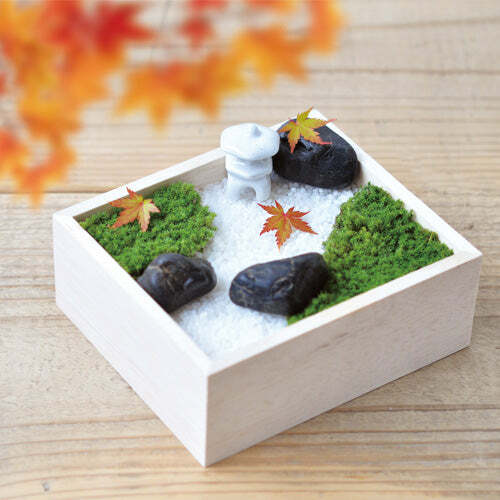 To most people, moss is mainly used as a decorative supplement for bonsai and landscape gardening. However, recently, there has been an increasing interest in moss viewing where viewers are using their cameras and magnifying glasses to discover the mysterious outdoor world of moss accordingly to an article from WSJ. Moss can be grown at the home easily requiring little water to survive. They play an important role in the Japanese concept of Wabi-sabi. From Wikipedia, Wabi-sabi is a worldview centred on the acceptance of transience and imperfection. Characteristics of the wabi-sabi aesthetic include asymmetry, roughness, simplicity, economy, austerity, modesty, intimacy and appreciation of the ingenuous integrity of natural objects and processes. Moss is widely recognised as the de-facto standard for Wabi-sabi. Moss grows at random location in asymmetrical pattern and is so often "abused" by passerby trampling all over. They are so often overshadowed by other bigger plants or objects nearby. Unknown to many, Moss also has many benefits if grown at home or in an office environment. It is able to not only absorb moisture but emit it too. According to Mr Norihiro Kotake (Kokemori Director), Moss will let out moisture when the humidity falls below about 12grams/cu. meter. This, in turn, creates a natural system of air purifying. Moss is so unique and fascinating. They are a plant that definitely deserves us to pay a lot more attention to regardless in Japan or anywhere in the world.